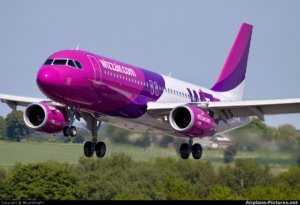 Hungary’s low cost airline Wizz Air from October 2018 will service flights from Lviv to Vilnius and Bratislava, and from Kharkiv to Gdansk and Wroclaw. The press service of the airline reported that Ukrainian passenger can book tickets on the airline’s website at the prices starting from UAH 299 for a one-way ticket, taking into account all taxes and duties. Flights from Lviv to Vilnius will be serviced from October 29 on Mondays and Fridays; from Lviv to Bratislava – from October 30 on Tuesdays, Thursdays and Saturdays. Flights from Kharkiv to Gdansk and Wroclaw will be serviced on Wednesdays and Sundays from October 28, 2018. “We will now service regular flights from the Kharkiv international airport on four Polish routes, and we hope that direct flights to cities such as Wroclaw and Gdansk will open even more opportunities for our passengers: both in the tourism industry and in education, culture, entrepreneurship and others,” Commercial Director for Aviation Activities of the Kharkiv international airport (managed by New Systems AM, a member of the DCH group of businessman Oleksandr Yaroslavsky) Vladyslav Ilyin said.